Your wishes are our commands dear Choup’s! We’ve listened to you and we’ve finally developed new extra-large glitter heels. To provide your feet more and more sparkles. Perfect for the holiday season that’s coming soon. You are at the right place to unearth the perfect Christmas gift: the new heels to absolutely put in your gifts wishlist. You love glitter but maybe not enough to wear full glitter shoes… So, wear them only as a touch in your outfit with the new interchangeable heels of your My Choupi Chouz shoes. Dress your MCC boots up with glitter and sparkle for the end of the year. The new extra-large glitter heels are now available on our e-shop! Like shooting stars, they are coming from Porto to light up the city and your feet (even the Eiffel tower is sparkling hoping up and down with impatience). Silver, gold or black, you can choose the glitter color that fits to your personality and to your outfits. As always, they are available in 8 or 4.5cm and adaptable on all our models of shoes. For a party, or even for a daily use for some of you, glitters can help you asserting yourself, your femininity and style. The multicolor glitter heels are also available to illuminate everyone with their colors! Awesome, right? Dare to dazzle and to fizz as much as the champagne you’ll drink the 25th and 31th of December (or all the holidays long for the luckiest among you). PRACTICAL INFORMATION: You can find the new glitter heels within the existing glitter heels tabs, you just have to select the “XL glitter” option in the list. WARNING: We will no longer produce the small glitter heels so take your last chance to order them! 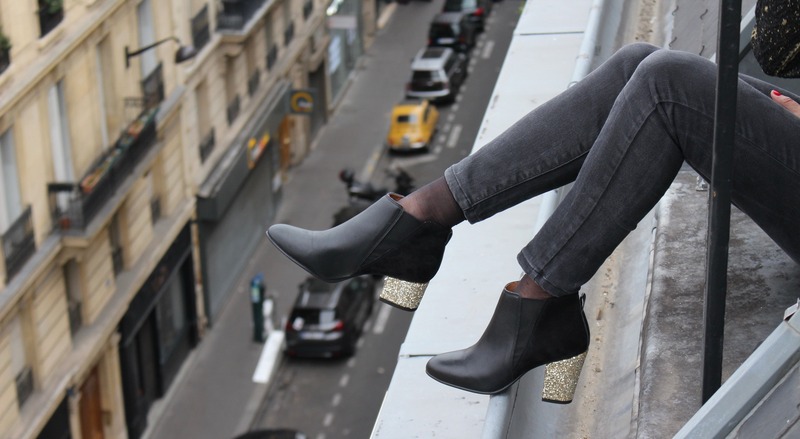 If your really sad and campaigning for the coming back of the small glitter heels, we will probably listen to you (do not hesitate to send us a little message).